This week’s photo is of some fruit and vegetable packing crates on Rue Cler in Paris. Taken on Polaroid 600 film with my SX-70. I really like the colours in this picture, saw it and had to take it. 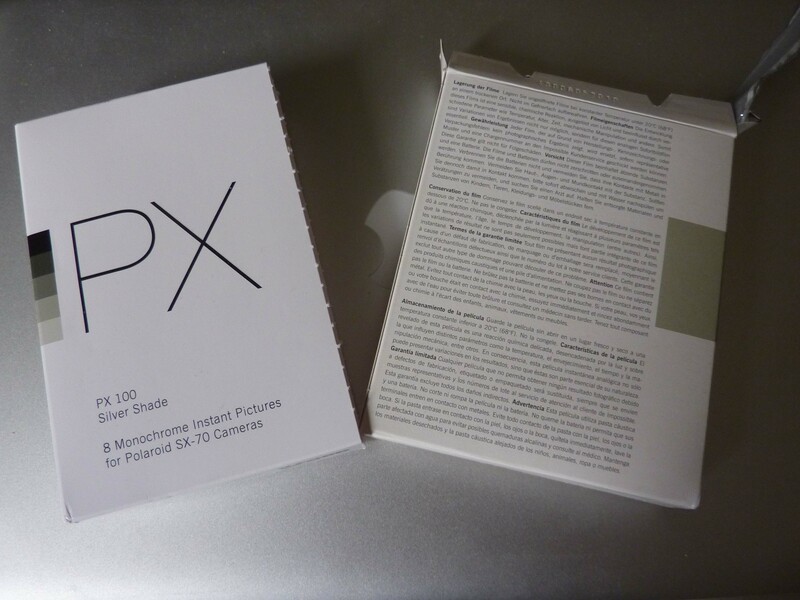 It’s been a while since I bought the box of Px100 at Prophot, but I had just put a cartridge of 600 film in the old SX-70 so I wasn’t in a hurry to use them up. I don’t believe in using a filter for the 600 film, so I stick to cloudy overcast days when the film over-exposes, but doesn’t blow out completely (as it does on sunny days). I like the look that it gives, some would call it “vintage”. 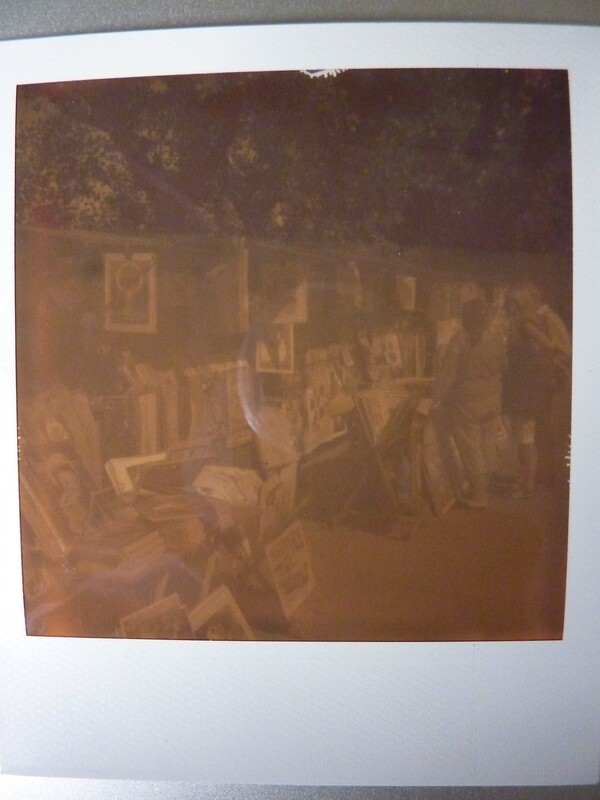 This PX100 is Silver Shade, and not the “first flush” variety sold earlier on. After reading up on the Impossible website all the do’s and don’ts for this film, I was ready to take some shots. While I think it’s fantastic that this film has been produced, it’s interesting that it’s far from perfect, and even seems to be in more of a development stage, with us the customers being the guinea pigs (at our expense too!). 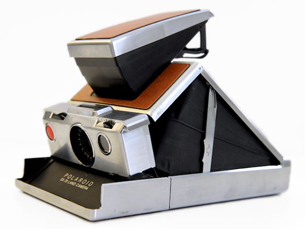 So although you may have already read this, after taking the shot you need to immediately cover the exiting polaroid with your hand (or some other object) to keep the light from striking it. It then needs to develop in a dark location. On top of this, the film needs to be used between 17-24 degrees celsius. Finally, they are now mentioning some “crystal” problems where you get funny marks on the edges of the pictures, they advise using a desiccant, and in fact now provide it with new boxes of the film. 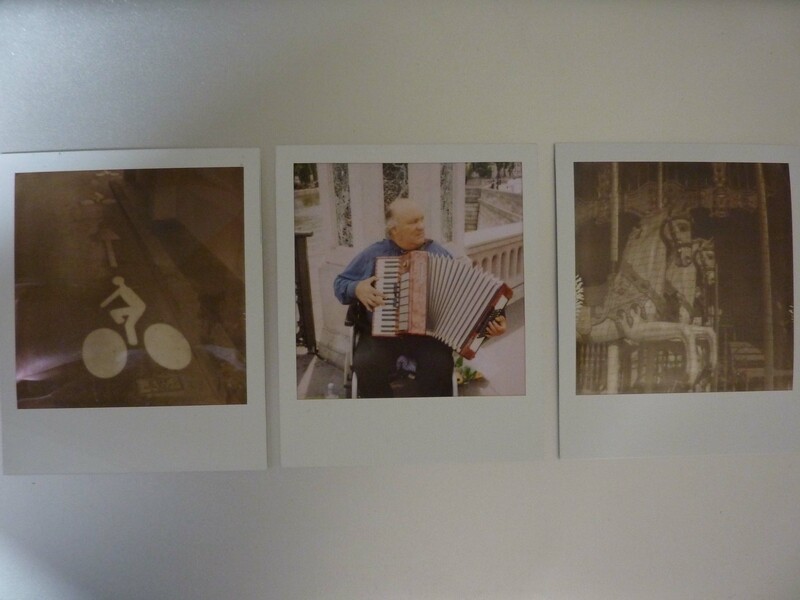 Here for comparison are (from left to right) : first shot with PX100, shot with expired 600, and second shot with PX100. When I left the apartment, the temperature was only 15 degrees, however the film and camera had been stored in the apartment which was in the low 20’s, and I kept the camera in my bag until I was ready to shoot. I immediately covered the shot with my hand on both and then put it in my messenger bag while it developed. The picture is a bit hard to see, however you’ll notice that although it is a black and white photo, it does have a slight sepia tone, and that there is very little contrast. The photos are also not very sharp. My wife mentioned that it looked very “vintage”. I liked the pictures, and was happy they turned out as it seems some have had far less luck than I have, however I would have liked more contrast. So later in the day I took a yellow filter from my Bessa R and held it in front of the camera while I took the shot. To be fair, I did not compensate with the brightness dial, however as you can see in the picture above, it did nothing to increase contrast, in fact it might have actually reduced it. The photo also got even more of a toned look. I would have thought that on a bright sunny day the yellow filter would have helped things out, but apparently not. 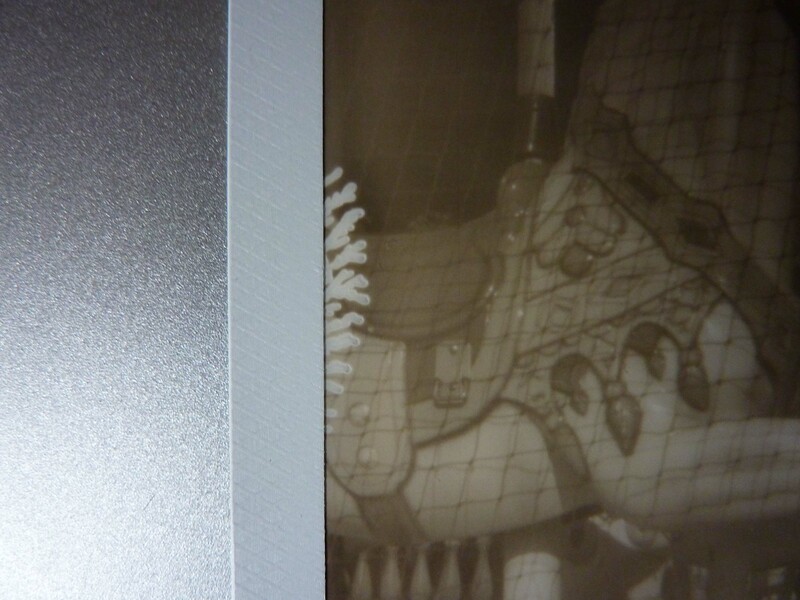 I would have liked to experiment more, but the film costs about 2 euros/shot, so I’m not game to waste anymore film. Looking back at one of the photos later in the day (8 hrs.) I noticed these strange marks on the side of the picture. They look similar to the “killer crystals” that they talk about on the Impossible website that are due to humidity, but I find that hard to believe that this was caused by humidity as it’s fairly dry around here right now. I’m hoping this doesn’t spread further across the photo, but only time will tell. So in summary, it’s great to have more film to use with my SX-70, but the quality isn’t all that great (not too sharp an image, low contrast). The lack of sharpness isn’t a whole lot different from the old 600 film, so this could be related to the camera I guess. 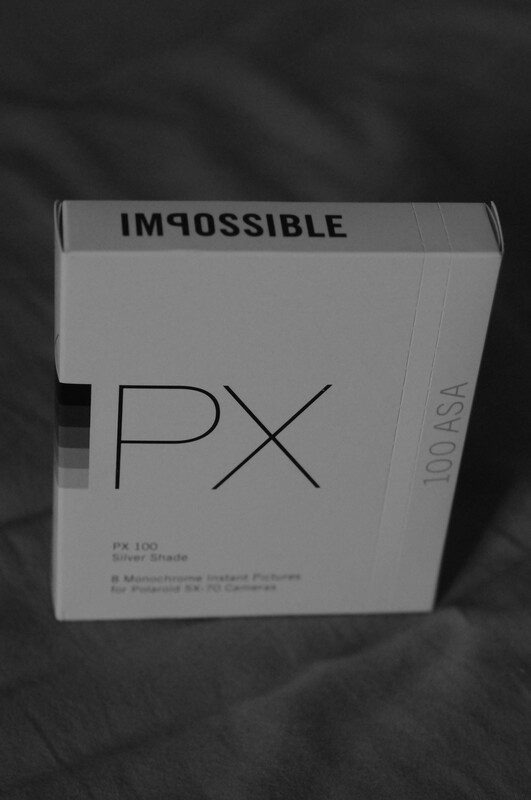 The fact that the film is so finicky, and that the early adopters are paying for Impossible’s research and development, I can’t say I’m over the moon pleased with the product. Finally I feel the price is reasonable, however the shipping charges can be astronomical depending where you live (I as lucky to get it in a store). I love polaroids. From the opening of the SX-70 to the anticipation as the film spits out the front of the camera, I love it all. My only problem is I end up with stacks and stacks of polaroids, and besides leaving them in stacks around the house, I don’t have much else to do with them. There was the mechanics desk, but it’s full now and that’s a fairly immobile object. I needed a gift for mother’s day for my wife. We generally like to make each other gifts and don’t really believe in going out and spending money on things we probably don’t need or won’t use after a month or two. I saw something similar to this on the net a couple of years ago, sorry I don’t recall the link. 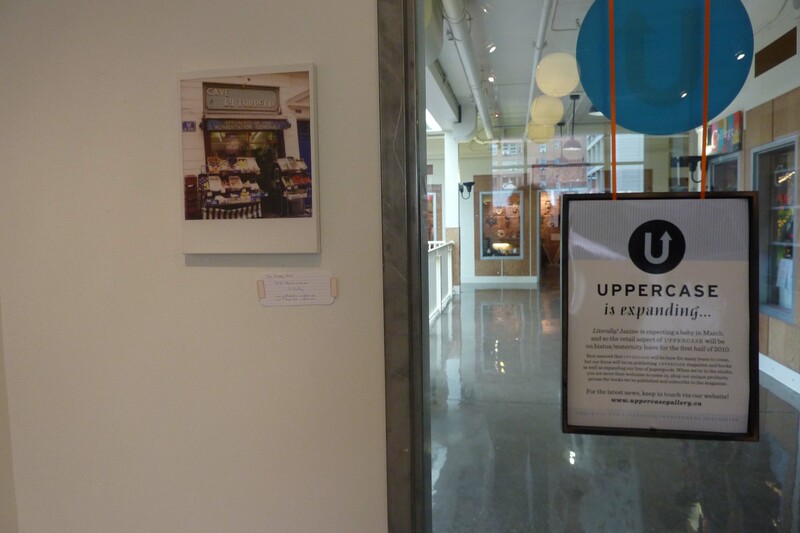 Uppercase, an awesome little shop in Arts Central, hosts a monthly “First Thursday” show which has had many themes over the years. 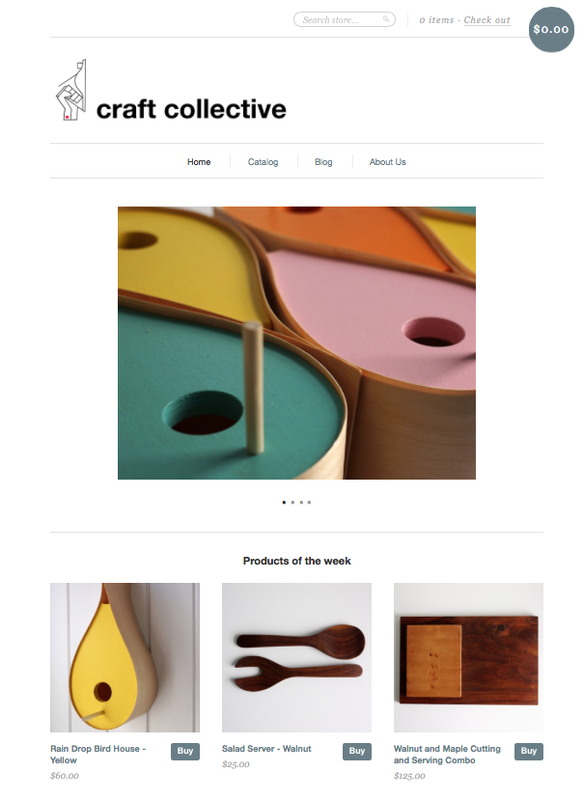 This month the theme was “Crowd Sourcing” meaning that anyone could come and bring their own work of art and display it (and sell it if they wished) for all to see. 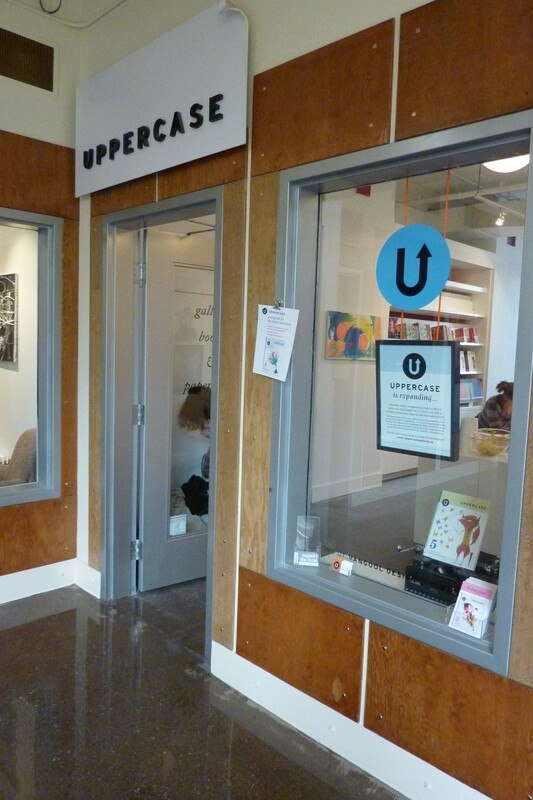 of UPPERCASE and one communual canvas collaboration! 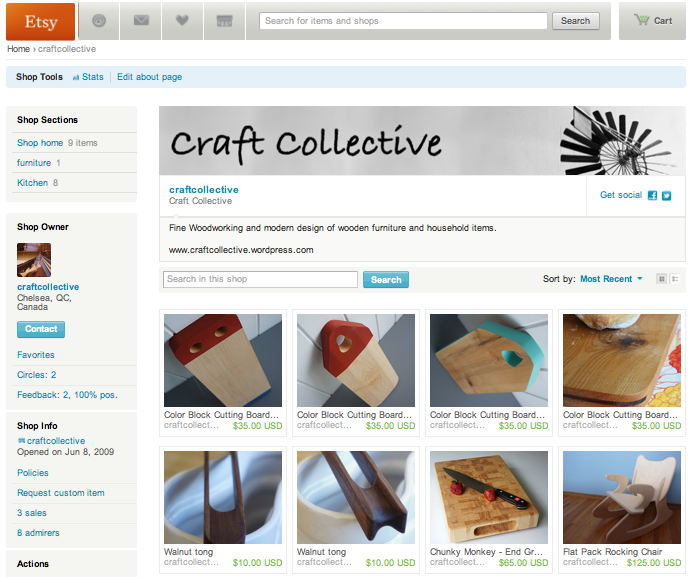 Here’s a closer look at the work I submitted. It’s entitled ‘the Grumpy Grocer’, it’s a picture of a little grocery store in Paris where the shop keeper was less than helpful considering we were trying to spend money in his shop. 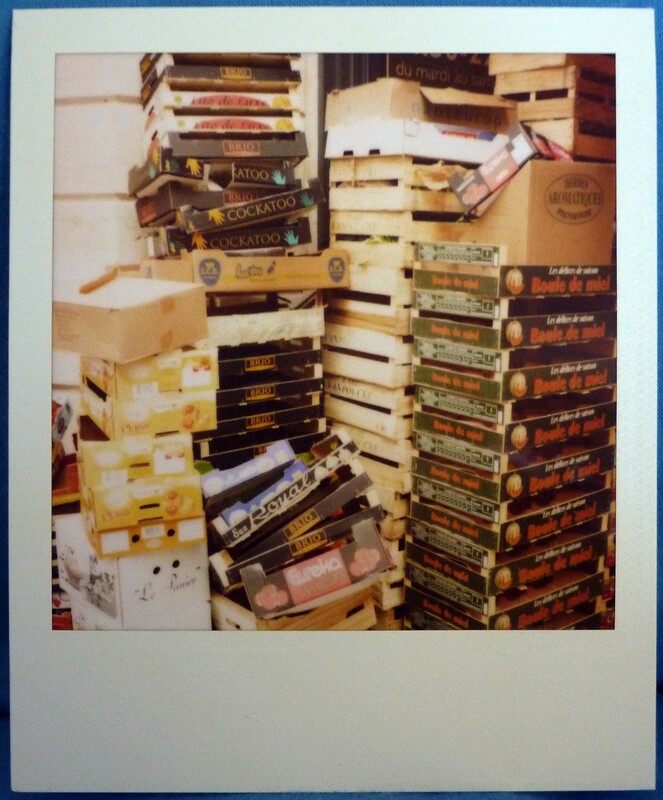 The shot was taken with an SX-70 on Polaroid 600 film (no filters). 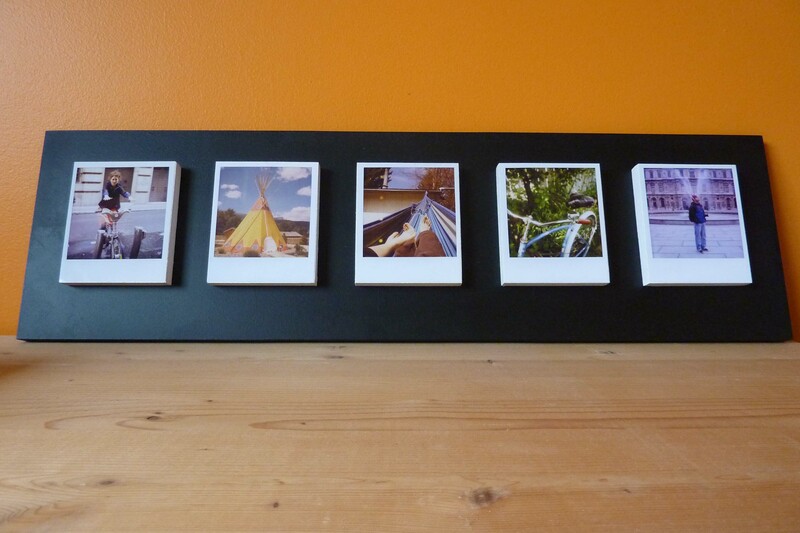 The polaroid was then scanned and printed on an 11×14″ canvas. Well once again the curse of ebay struck me. Although I’ve had an SX-70 for a while, I love it too much to make any of the suggested modifications to it. So while it works with 600 film (and a hap-hazardly placed filter), it isn’t perfect, and I often feel like I am wasting the few shots I have left with ridiculous pictures. My uncle has an Instax 200 which he keeps in his guest room, making sure all visitors take their own portrait and write a little note below it. While I liked the size of the Instax 200 film, the camera is LARGE. I was hoping for something more portable so when a good deal was to be had on an Instax Mini 7, I laid down my cold hard cash ($7 to be precise), and 2 weeks later, it arrived from jolly ol’ England. Unfortunately it was missing part of the viewfinder (eventhough the ad described it as in good shape, complete). Doesn’t seem to affect the photos so I kept it. My first problem was finding film Fuji has only recently started selling the instax mini film in Canada, so I took advantage of another ebay deal from Hong Kong, and soon enough 5 packs of film were in my mailbox. 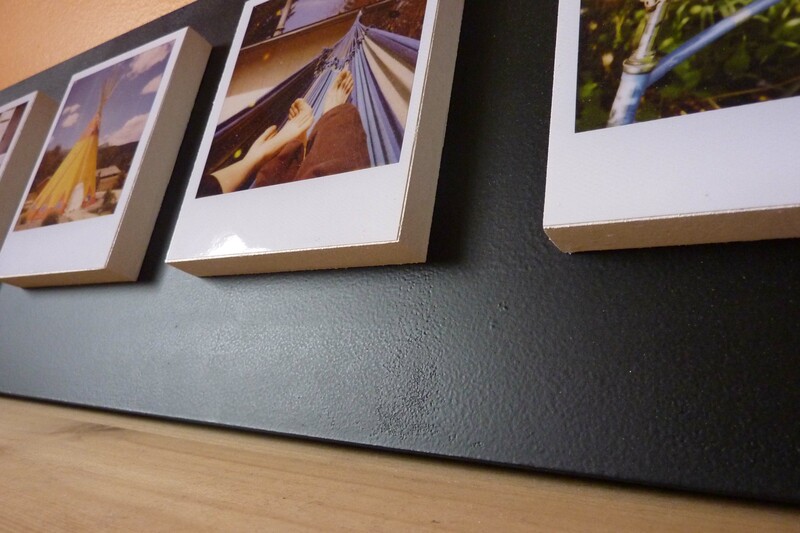 Prices of film are cheaper than Polaroid 600 at $40 for 50 pictures (shipping included). The local camera store just got some in last week but charges $15 for 10 pictures. But back to the camera. I think this camera could take off with the right marketing. It would be a ton of fun at parties, or any social gatherings for that matter. Hopefully Fuji recognizes the potential and gets the word out as this camera has been available world-wide for several years now.